Review copy provided by the publisher in exchange of honest review. “Welcome to Manderley Academy”I hadn’t wanted to go, but my parents were so excited…. So here I am, the new girl at Manderley, a true fish out of water. But mine’s not the name on everyone’s lips. Oh, no. It’s Becca Normandy they can’t stop talking about. Perfect, beautiful Becca. She went missing at the end of last year, leaving a spot open at Manderley–the spot that I got. And everyone acts like it’s my fault that infallible, beloved Becca is gone and has been replaced by “not” perfect, completely fallible, unknown Me. Then, there’s the name on “my” lips–Max Holloway. Becca’s ex. The one boy I should avoid, but can’t. Thing is, it seems like he wants me, too. But the memory of Becca is always between us. And as much as I’m starting to like it at Manderley, I can’t help but think she’s out there, somewhere, watching me take her place. 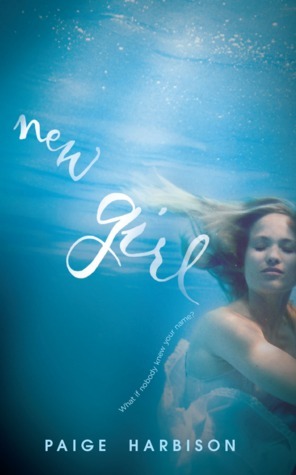 New Girl follows the life of an unnamed girl who starts her first year at Manderley after a spot has opened up last year. However, the spot belonged to a really popular girl named Becca, and people start cursing her for taking Becca’s place. She starts to regret having ever gone to Manderley in the first place. She’s met with nothing but hatred, but New Girl stands proud and somehow gets through it all, with a sharp wit and intellect and courage. The book alternates between New Girl’s first person POV and the third person POV leading up to Becca’s disappearance. This book is loosely based on Rebecca, a classic in the genre. However, Rebecca is a lot better. That’s not to say I didn’t like this contemporary twist, but the original still holds strong, in my opinion. It doesn’t take long into the book to discover Becca wasn’t really as well-liked as she appears to be after her early demise, and that she liked to twist everyone around her little finger, crafting herself a queenly crown based on deception and lies. As New Girl’s new roommate, and Becca’s old roommate, meets her with more and more hostility as the days pass by, tension rises. It’s clear that there will be a breaking point, and something is abotu to happen. The only question is: what? I liked New Girl. Her personality was interesting: she was nice and friendly, but toughened up when needed. I wasn’t too fond of her relationship with Max, Becca’s old boyfriend, as she seemed to give in to him too quickly, but I warmed up to them as the story progressed. Becca, on the other hand, well, let’s say I didn’t like her one bit. She was arrogant and cocky, always used to getting her way, and using people whenever she saw fit. The suspense was dripping off the pages from this book. The only downside that really dragged this down for me? Rebecca had a ghostly element I really enjoyed. I thought that was missing from this book. There may have been some instances, but it was never as delightfully scary as in the original. Overall, New Girl is a thrilling retelling of a classic, making it available to the YA crowd, and putting it in a contemporary setting. There are winks to the original story, such as the opening scene (“Last night I dreamt I went to Manderley again”), never using New Girl’s name until at the end, and of course, the name Becca. I still liked the original better, but I think Paige Harbison did a great job at retelling the book.